Hi friends! Anyone else loving jumpsuits as much as I am this season? I'm so happy that they're in style, not only because they are fun to wear, but I love that you don't have to put any effort into getting dressed when wearing one. You just jump into it, and are ready to head out the door! I recently added this black number to my wardrobe and have been wearing it non-stop. I love that it can be worn both on the shoulders, or off, and the cotton/polyester blend gives it a cozy feel. The best part is the price. It's under $25!! It's perfect to throw on for a casual Sunday afternoon, or dress it up with heels for drinks with the girls. Note: Although I find this jumpsuit comfortable, I was hoping it would be a tad bit softer. For the price though, I think it's a great purchase, and it is soft enough that I've been wearing it constantly. Also, because of my larger chest, I don't love how the material falls when I pull it off one shoulder. I'm thinking if I sized up, it would fall better. I am wearing a size small. What's better than finding cute shoes at Target? How about when they're on sale!!! Target is currently having BOGO (Buy One Get One) 50% off on shoes! I searched Target high and low, and found some great finds. 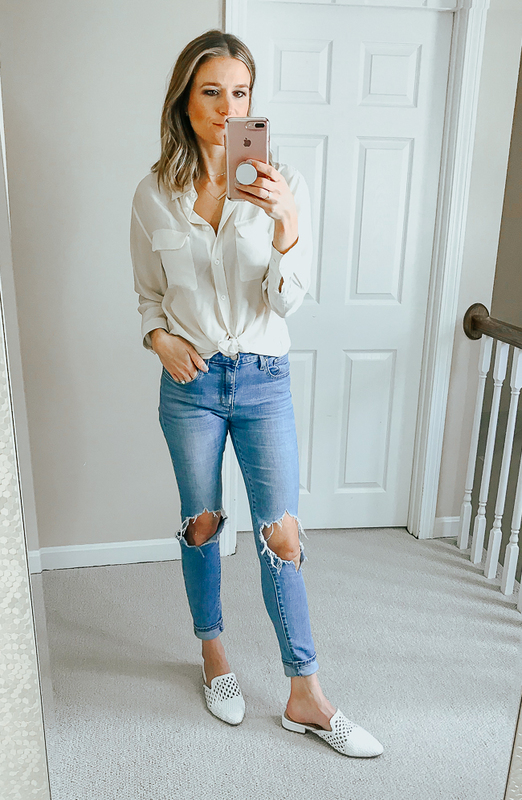 I'm listing my top sale picks below! 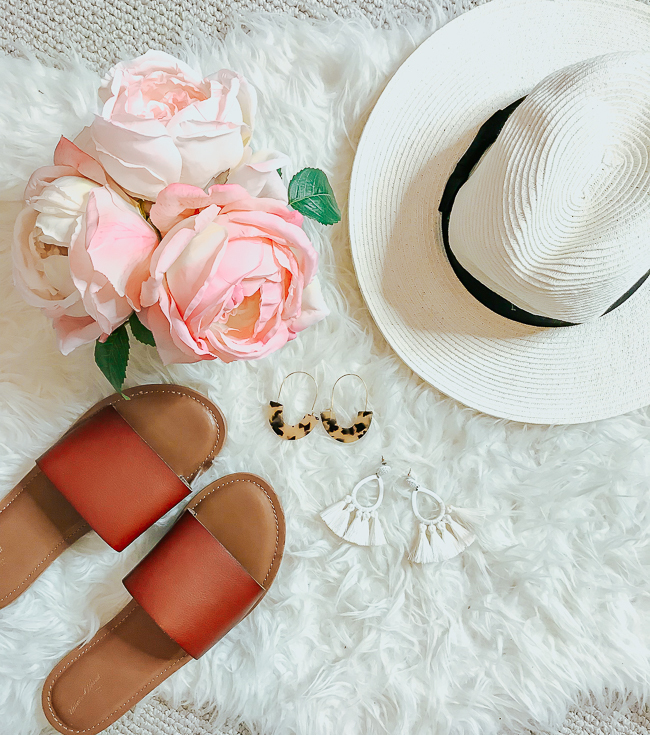 Here are some accessories that I am loving!